If you think opera is dull and dreary, well think again. 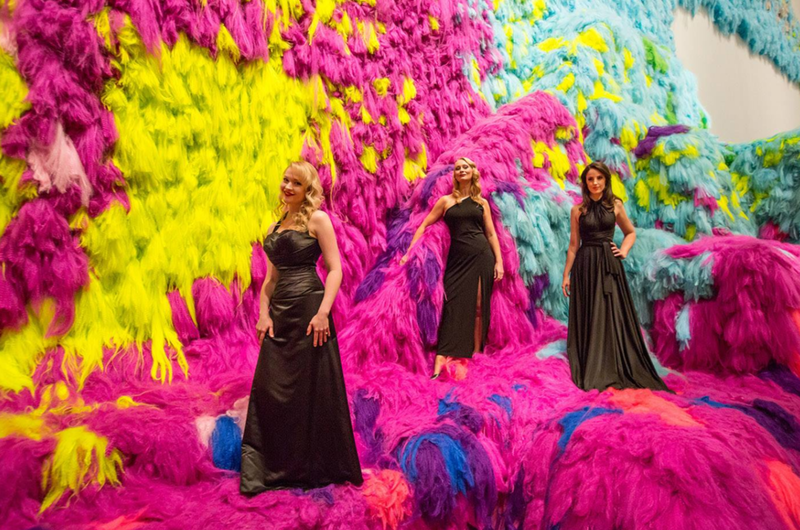 When Opera Queensland recently launched their 2017 season with a 'Sensory' event at Brisbane's iconic GOMA it was the most wonderful evening combining opera and art to create colour and excitement. Upon arrival at GOMA each guest was allocated a coloured wristband and then proceeded to embark on a night of opera, music, dance, art, food and wine. As guests broke into smaller groups, they commenced individual journeys through the gallery. During the evening guests were close to each artist and completely captivated by the artists’ emotional performance while spending the entire evening surrounded by magnificent artworks. Musical highlights on the night included Strauss’ haunting ‘Die Nacht’ performed by Brisbane favourite, soprano Sarah Crane, with award-winning pianist Alex Raineri accompanying; and acclaimed violinist Brendan Joyce’s solo performances of the beautiful ‘Méditation’ from Massenet’s opera Thaïs together with dancers from Expressions Dance Company. 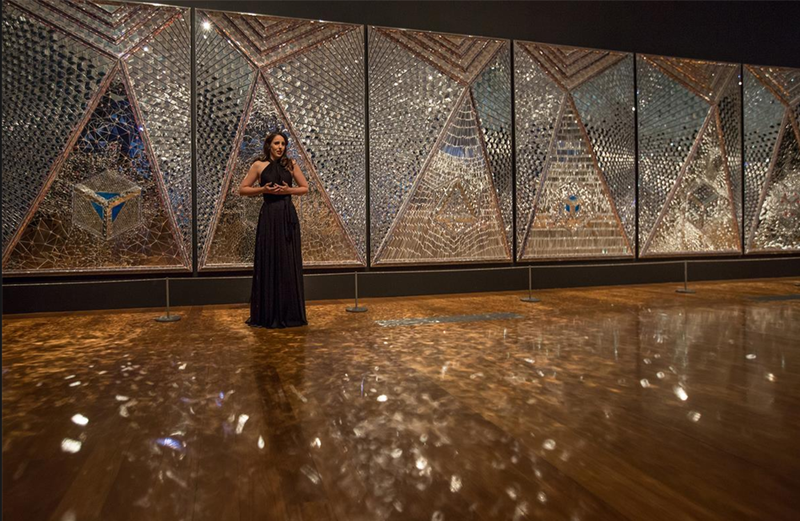 Cassandra Seidemann, Kathryn Bradbury and Katie Stenzel performing as part of Sensory at GOMA, 2017, feat. Hrafnhildur Arnardottir’s Nervescape V 2016. Image by Stephen Henry. 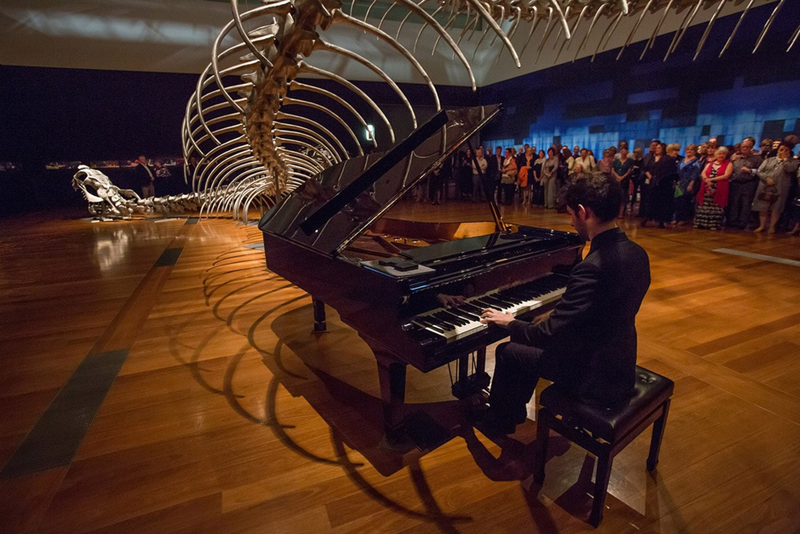 Opera Queensland have an exciting season of opera planned for 2017 and the night of 'Sensory' delight at GOMA was just the beginning of the journey. Stay tuned for the next exciting OperaQ event. Ticket sales - In Person: Qtix box office, QPAC open Monday to Saturday 9.00am to 8.00pm. QPAC is located on the corner of Melbourne and Grey Streets in South Brisbane. The qtix Box Office is on the Mezzanine Level of QPAC.